Hey, diva! Want a gorgeous look that’ll make a splash at the pool? 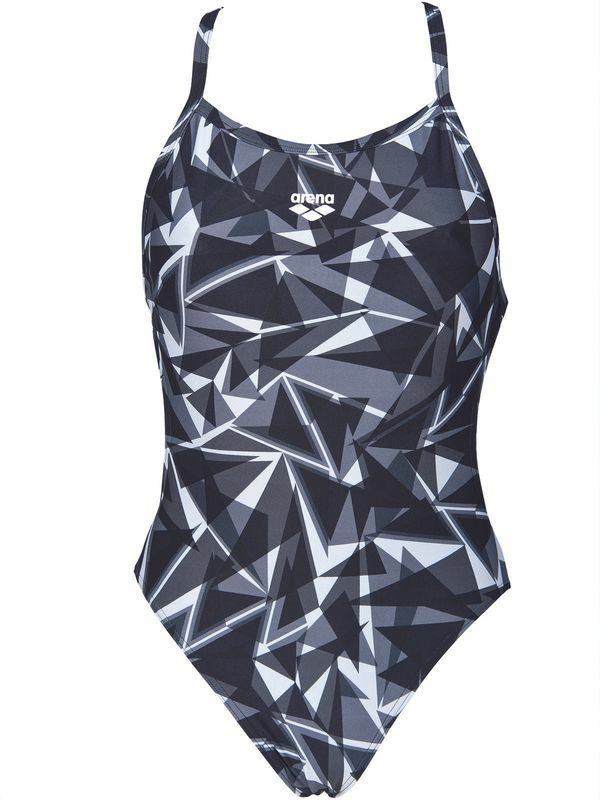 You’re going to love the Arena Shattered Glass Lightech One Royal Women’s One Piece! This shattered glass style is a splash of charcoal, slate, silver, and midnight black. With a magnolia white Area logo at the front and light tech back, this one piece is one of a kind! Made with 100% chlorine resistant Max Life fabric, the Arena Shattered Glass Lightech One Royal Women’s One Piece can keep up with even the craziest training schedules. This beautiful look will stay looking flawless through countless swim sessions. Shattered Glass Lightech One Black Womens One Piece is manufactured by Arena Swimwear, the Official Swimwear & Equipment Partner to Swimming Australia and the Australian Dolphins Swim Team. For over 35 years Arena has equipped the world’s leading swimmers and lovers of watersports with racing, training, and leisure swimwear and accessories built on a foundation of in-depth research, technical know-how, and an unyielding commitment to quality. Arena is the authentic waterwear brand for athletes and real sport lovers. Wherever there are water sports, there is Arena.